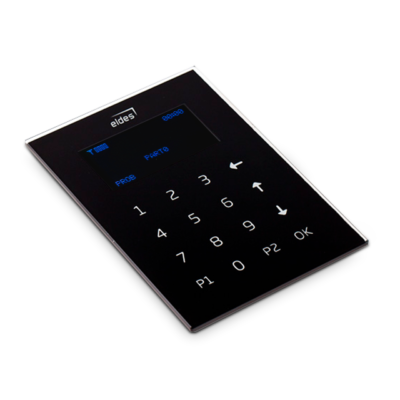 This modern and stylish keypad will perfectly fit to any home interior. Soft touch buttons and informative LCD screen ensures the maximum level of user comfortability. EKB2 is designed to be a perfect device for any interior: slim-line glass body with a touchscreen delivers the best user experience. Informative LDC screen displays a real time information about zone status, time, temperature, GSM level and possible faults. You can choose EKB2 from 2 colors: Midnight Black and Silver White for a perfect finish of your interior. EKB2 is a prefect device for the full control of your home security system: arm/disarm whole premises or particular areas, set duress code to silently alert the security company. The backlight of buttons allows to use the device even late at night or early in the morning. 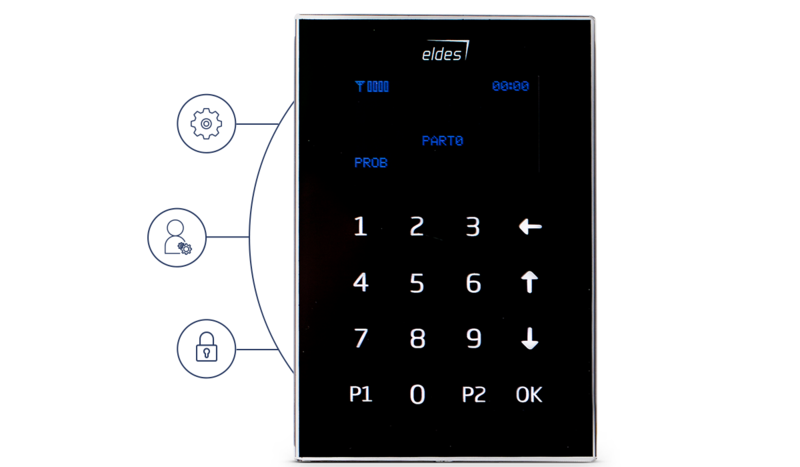 EKB2 can also be used as a back-up way for the security system configuration if you do not have an access to Eldes Utility.